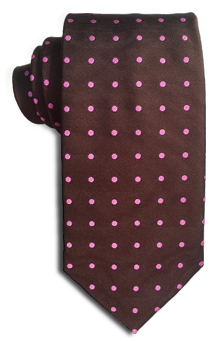 Tasteful pattern of perfectly aligned polka dots. Versatile and handsome. 100% woven silk. Made by hand.